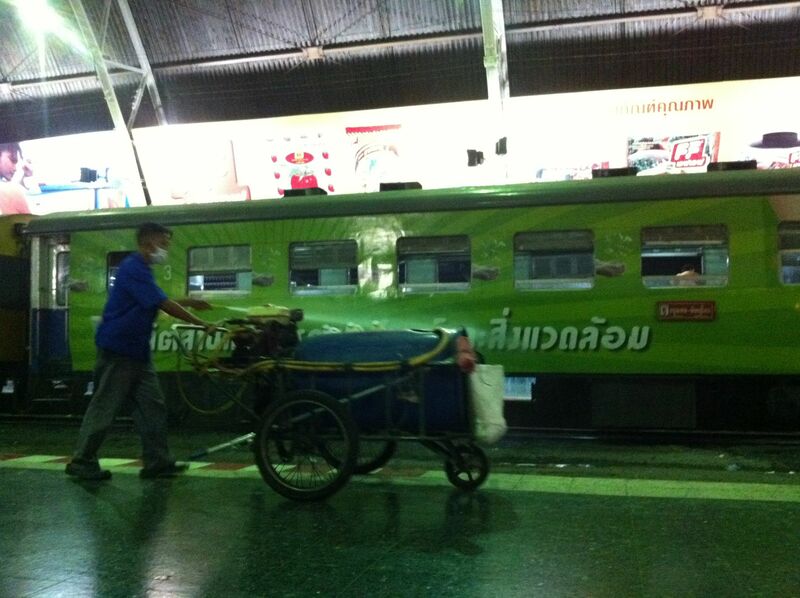 Tonight we’re taking an overnight train to Chiang Mai. 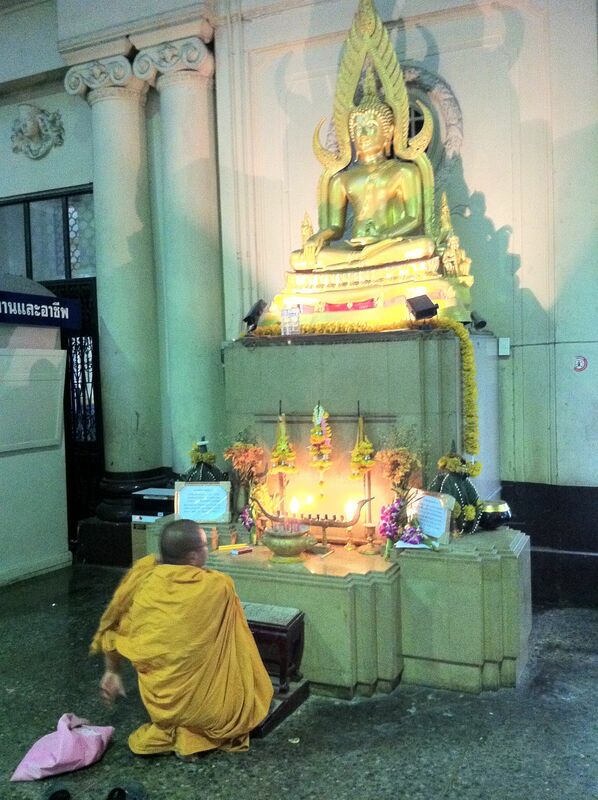 I had pre-ordered the tickets online which were delivered to the Sukhothai for us. Pretty cool. 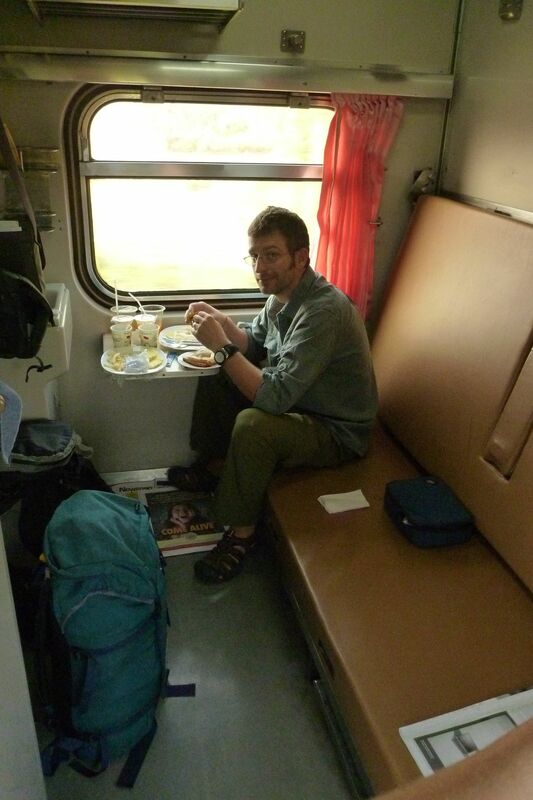 I’d taken overnight trains before in Europe and China, and they were both a fun experience. Seb had never done it, so I thought he was due. Unfortunately he may never let me do it again. It wasn’t that bad. 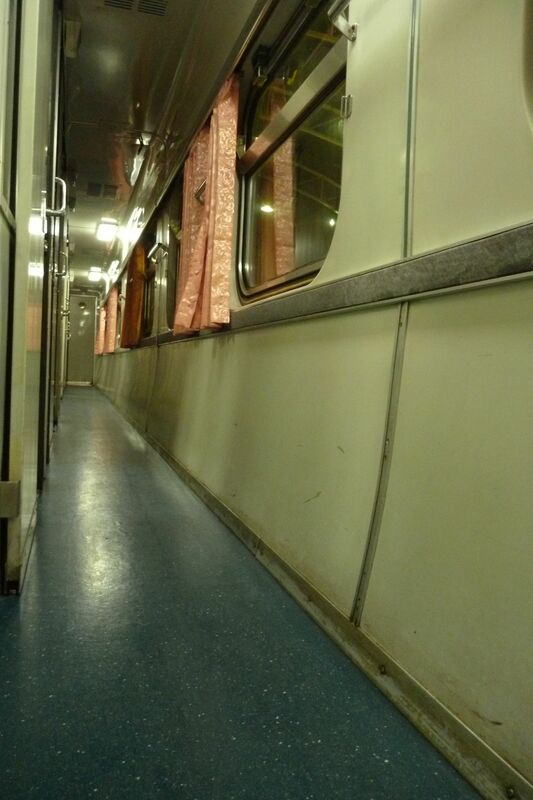 Our compartment was clean, and we did get some sleep (I kind of like the movement of the train, like being on a boat). It was also pretty cheap. 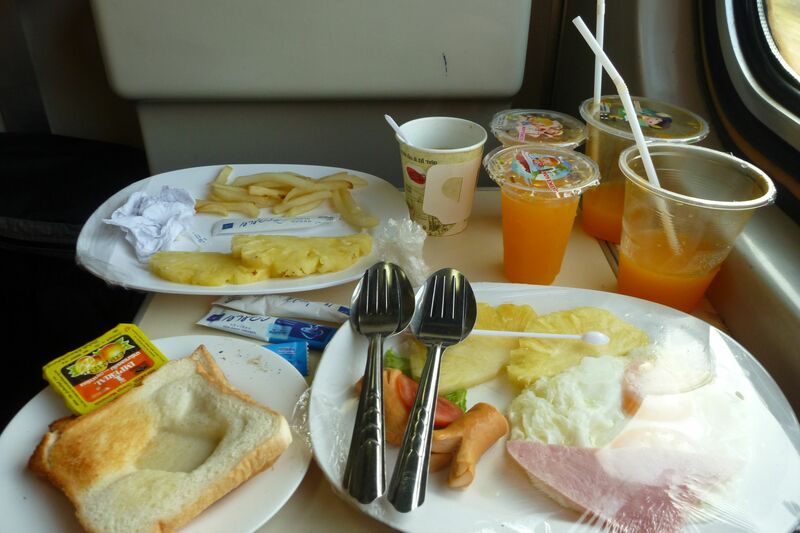 But the breakfast was horrible, so were the bathrooms, and there was no restaurant car or cool place to hang out. Not that we could find, anyway. So we just read newspapers & magazines that we had brought with us, sipped some beer that we had also brought with us, and went to bed early. I suppose it didn’t help that we had just finished a super-luxury river cruise, in comparison. 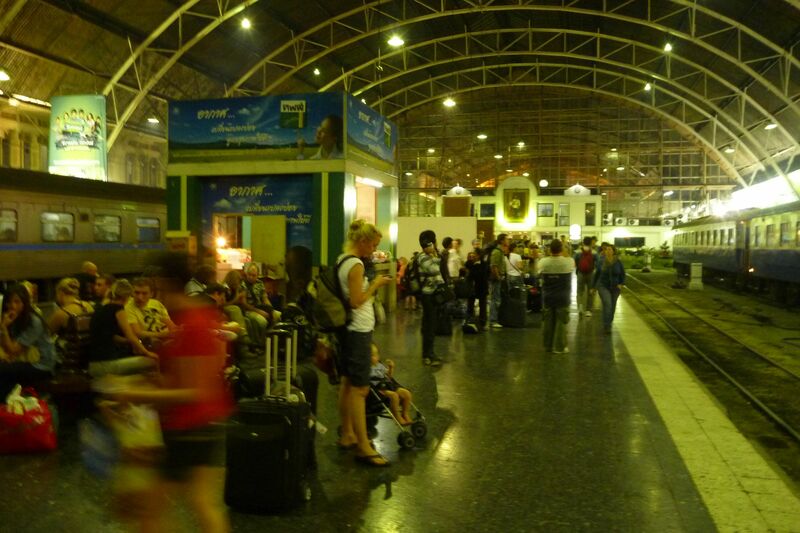 Hua Lamphong, the train station itself (exterior featured above), is quite attractive. Wikipedia says it was completed in 1916 in Italian Neo-Renaissance style. Also that the Allies tried to bomb it during WWII but hit a nearby hotel instead. On the inside, it was quite busy. 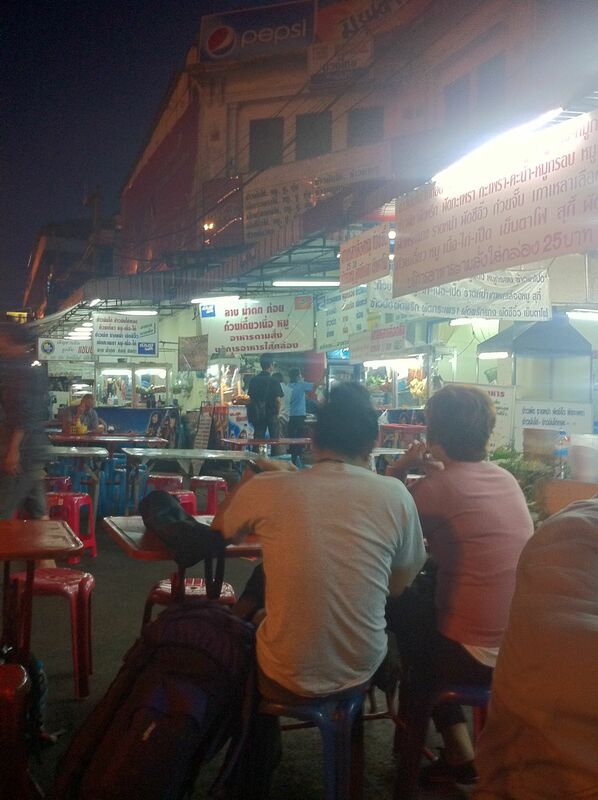 There were several restaurants, including a Dunkin’ Donuts and a KFC, coffee shops, convenience stores, grocery stores, and an altar, of course. 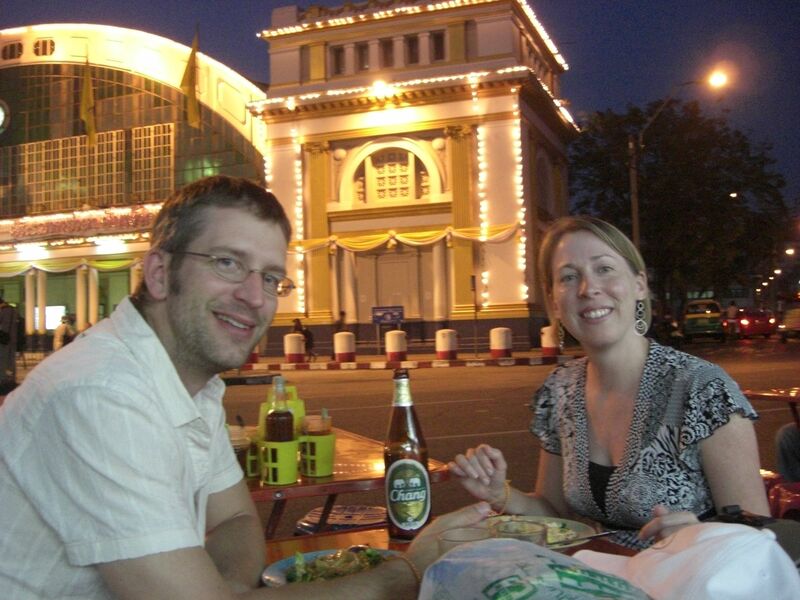 We weren’t in the mood for fast food or Western-style food, so we checked in our bags and went across the street for a bite to eat. Waiting at Track 5. Notice the King’s photo overlooking the place, as in all public places. Giving our newly-arrived train a scrub. One guy hosed it down, two followed with brushes. 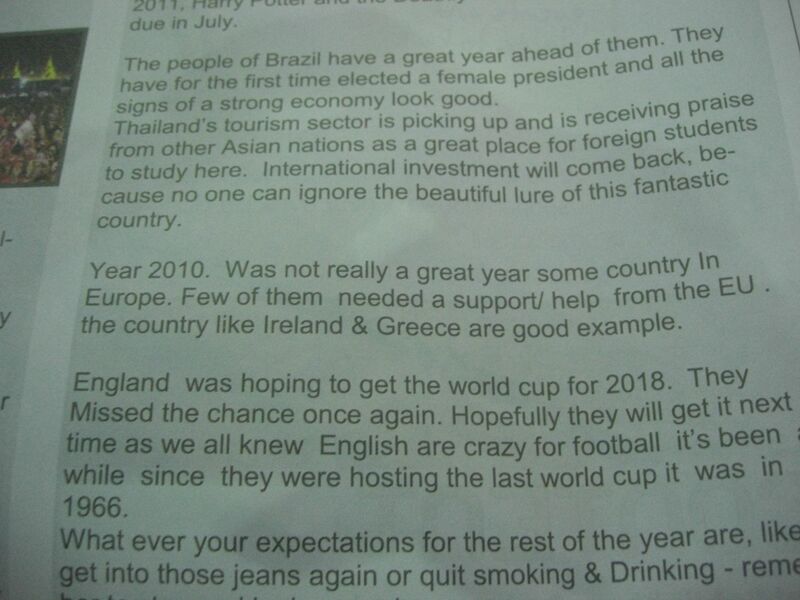 While we waited, I checked out the local newspaper and their informative little write-up about the year in review. 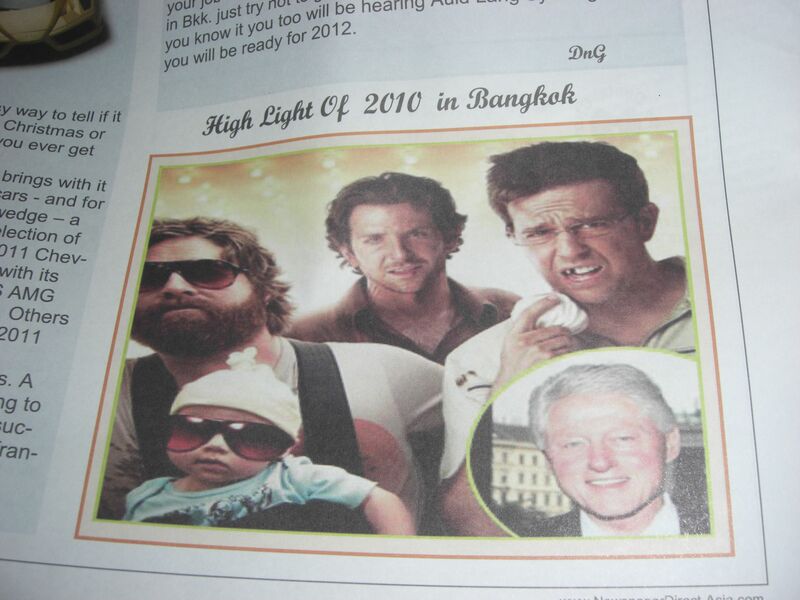 Apparently the most exciting thing that happened in Bangkok in 2010 was a visit from the cast of The Hangover. Oh, and also Bill Clinton. Our tiny cabin. At least we had a basin and trash can. Everything looked dirty, but it was just old. Actually everything was quite clean, including the bed linens. The seat unfolded and created two bunk beds, which an attendant expertly put together for us. The worst part was the breakfast. Maybe we’ve turned into snobs, but it was basically inedible. Oh well. 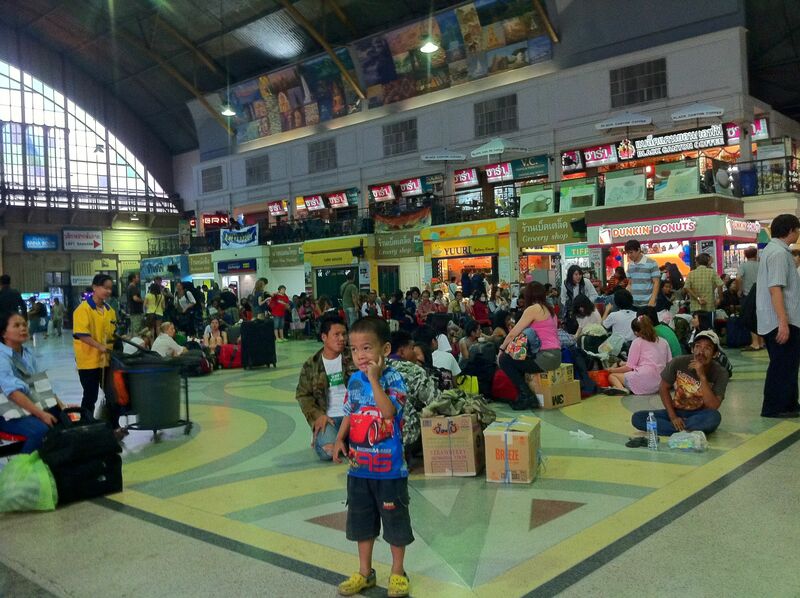 At least we arrived safely in Chiang Mai for the last stretch of our vacation — a couple hours late and a little hungry, maybe, but we made it!